African leaders’ adherence to constitutional term limits is a key component of institutionalizing predictable norms of democratic succession. Progress toward establishing this norm has been mixed, however. While a number of African countries have succeeded in upholding term limits over the past two decades, leaders in more than 20 countries effectively do not face restrictions on their time in power. Eighteen African countries have established a constitutional two-term limit on their executive officeholders. Chief executives in these countries have been in power for less than four years, on average. 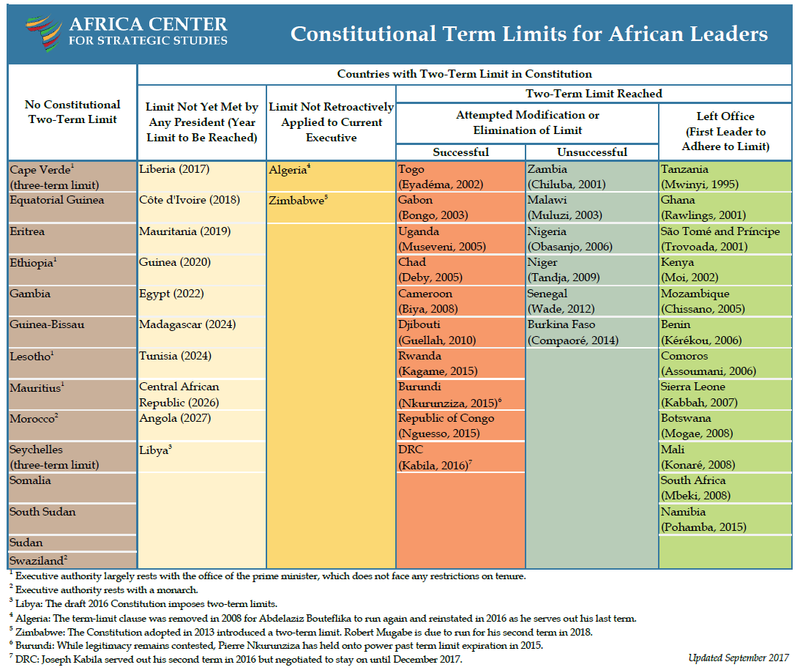 Ten African leaders have evaded term limit restrictions. The average time in power for leaders in these countries is 21 years. 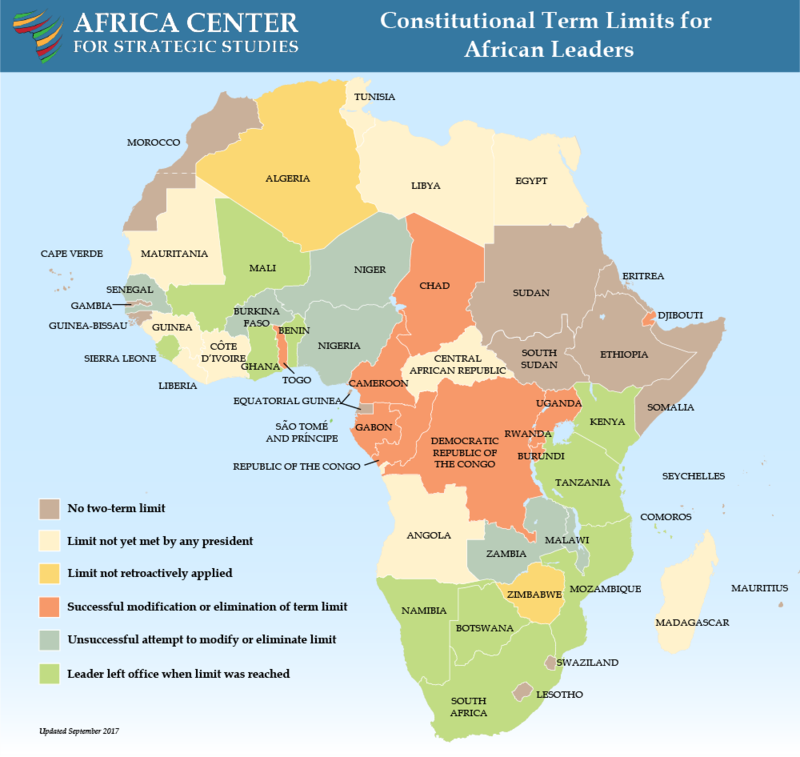 Eight of the 10 countries where term limits have been undone are in Central Africa. Southern Africa is the sub-region with the strongest adherence to term limits. Term limits for leaders in North and East Africa largely remain weak or absent. Claire Felter, “Africa’s ‘Leaders for Life’ Syndrome,” Backgrounder, Council on Foreign Relations, April 10, 2017.